$10 becomes $20, $20 becomes $40, $40 becomes $80...$100 becomes $1,000. There is never enough money. If you someone can make $10 without work, why not $1,000? It's appears like a logical process. How many billionaires do you know made their money as gamblersr? There are a few billionaires who made their fortune by owning casinos, though. The money that is lost cannot be made back. Accept it and move on before digging a deeper hole for yourself. 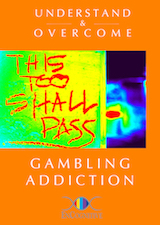 I have read and personally know people who have gambled away their lives. Gambling Senior started at 17 ????? Wow when I think of the hundreds of thousands of dollars I spent gambling ,it really sets me back ! In the last 8 months I spent 95k why cause I looked at it that I,am 66 I owe no money and or bills ! WRONG ! The Greed of the lottery and VLTs has now made gambling not fun anymore ,there is no fun in losing money ! They are out for themselves, " Greed and bottom," line so do they care about you ? Not, So if you play now you cannot win ,to get a VLT to give you a 500 dollar win you could play for days and not get one , so my advice is don,t waste your money ! i don't know how to start this really, i feel at my wits end i cannot seem to sit still untill i have gambled everything away, i am at the point now where i am gonna lose my house, my job. My partner has just lost his job and do you know my 1st thought was how will i fund my gambling now!! that is mad, what happened to the sensible comments like how will we afford the mortgage, the bills feed the kids. i am a joke, i have let my self down, my family . for what? nothing, even when i have won some money i spend it all again and again. I live with my elderly mother and two handicapped brothers. I gave up my job and moved here to help them when my mother became disabled. I have found that in periods of prolonged boredom and lonliness, I gamble online to have something to do that I enjoy. The problem with this is I now have this beast that lives within me that wants to play all the time. I am a slot machine junky. I have found 101 ways to justify it in my mind and to others, but the truth is, now the slots are playing me instead of me playing them.